Yellow, a Brazilian dockless bike and e-scooter company, raised $63M in Series A funding in September, a significant follow up to their $12.3M seed earlier this year. It’s not exactly a new idea. The founding team is made up of ride-sharing veterans Ariel Lambrecht and Renato Freitas (who sold their startup to Didi Chuxing for $1B), and cycling industry expert Eduardo Musa. 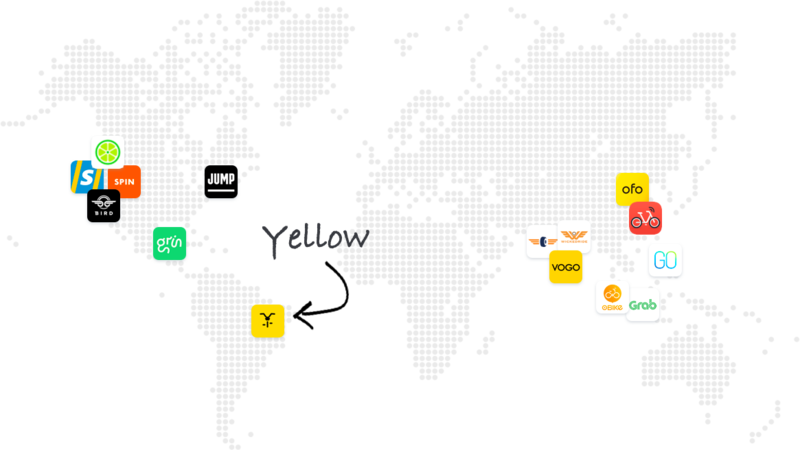 Yellow is backed by GGV, who has a long history of investing in mobility-focused startups, like Bay Area-based Lime. Yellow, however, is their first Latin American investment. What’s unique about Yellow? Geography. Whether its Lime, Yellow, or another citrus color, the trend of founders and venture capitalists tapping into global ideas and regionalizing them shows no signs of slowing down. We’ve seen this before, from food delivery to chat apps to home-sharing, or even the world of the Samwer brothers who take popular ideas from the US and Asia and bring them to populous non-English speaking countries. With companies like Uber and Ofo scaling back international ambitions, the opportunity for region-focused startups like Yellow continues to grow. Looking for your next innovative idea? Try a tried-and-true strategy—recycling from another part of the world.